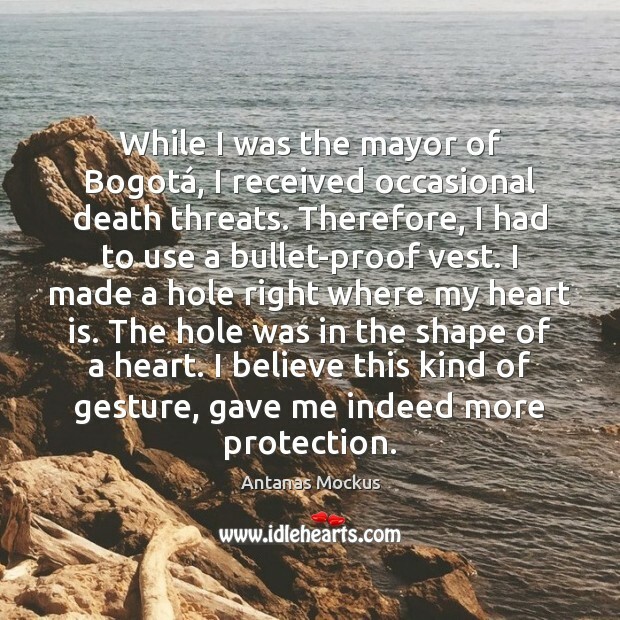 Enjoy the best inspirational, motivational, positive, funny and famous quotes by Antanas Mockus. Use words and picture quotations to push forward and inspire you keep going in life! Knowledge empowers people. If people know the rules, and are sensitized by art, humor, and creativity, they are much more likely to accept change. While I was the mayor of Bogotá, I received occasional death threats. Therefore, I had to use a bullet-proof vest. I made a hole right where my heart is. The hole was in the shape of a heart. I believe this kind of gesture, gave me indeed more protection. 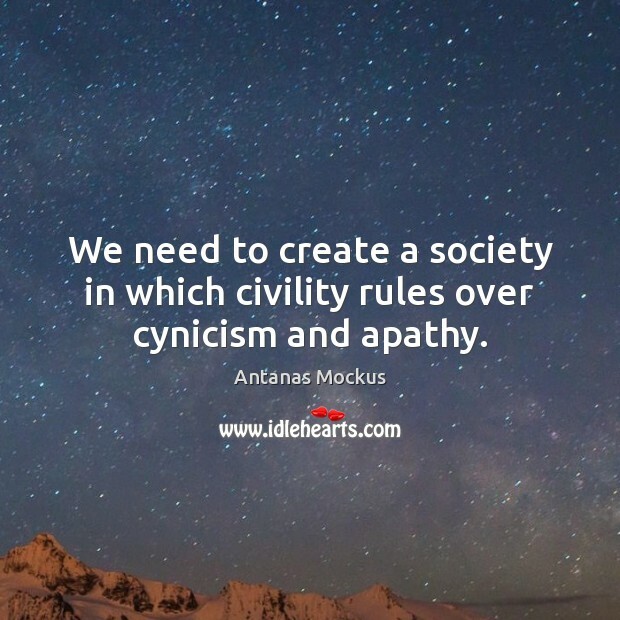 We need to create a society in which civility rules over cynicism and apathy.